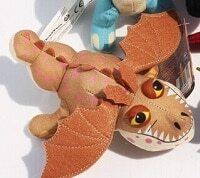 Toothless, Hookfang and Stormyfly are ready to fly in for your next family movie night, How to Train Your Dragon party or afternoon craft. 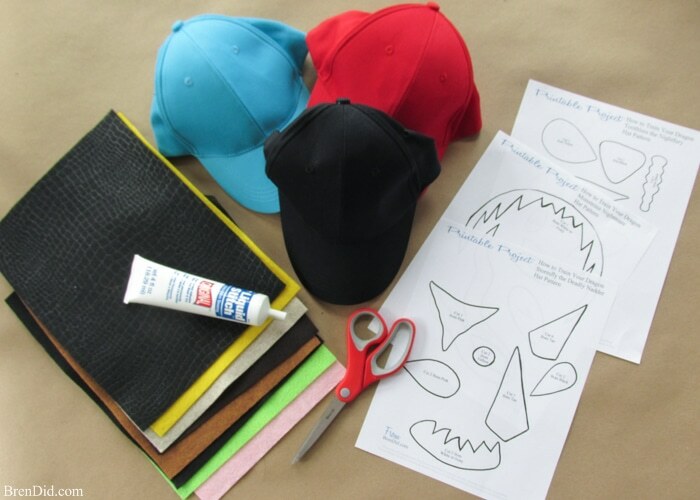 This easy dragon costume hat tutorial shows you how to turn premade baseball caps into How to Train Your Dragon characters that will thrill and delight any dragon fan. I’ll admit it; I have a soft spot in my heart for Vikings. My hometown was founded by Scandinavian immigrants and still boasts a wonderful Norwegian American History Museum and Norwegian heritage festival each summer. While I can only claim a tiny pinch of Scandinavian heritage, growing up around the culture taught me to appreciate all things Nordic! 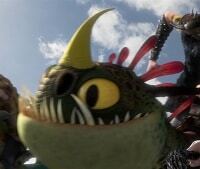 Have you seen How to Train Your Dragon or How to Train Your Dragon 2? 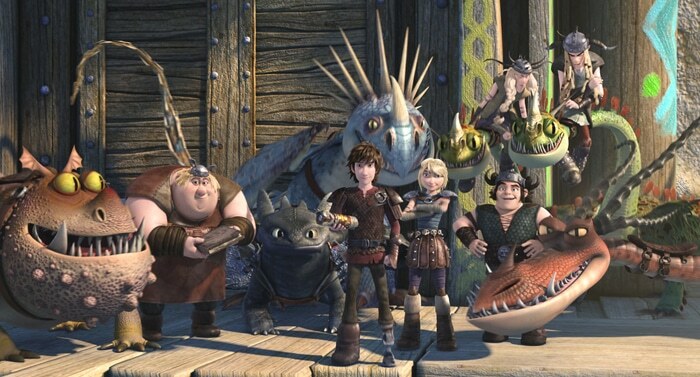 The movies are based on a children’s book series by Cressida Cowell and are set on the mythical Viking island of Berk. Berk is inhabited by Vikings, sheep and DRAGONS! Both movies are full of adventure and offer families a chance to talk about conflict resolution, war and peace. 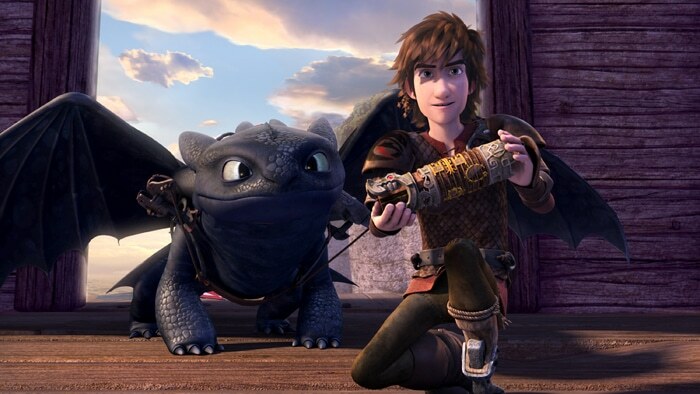 We were thrilled when we heard that Hiccup and Toothless were coming back in an all-new action packed Netflix kids original series, DreamWorks Dragons: Race to the Edge. The series features all your favorite How to Train Your Dragon characters on a quest to explore strange new worlds, seek out never-before-seen dragons and end the war between Vikings and dragons once and for all. I decided that a dragon craft would be the perfect way to celebrate the new DreamWorks Dragons: Race to the Edge series. 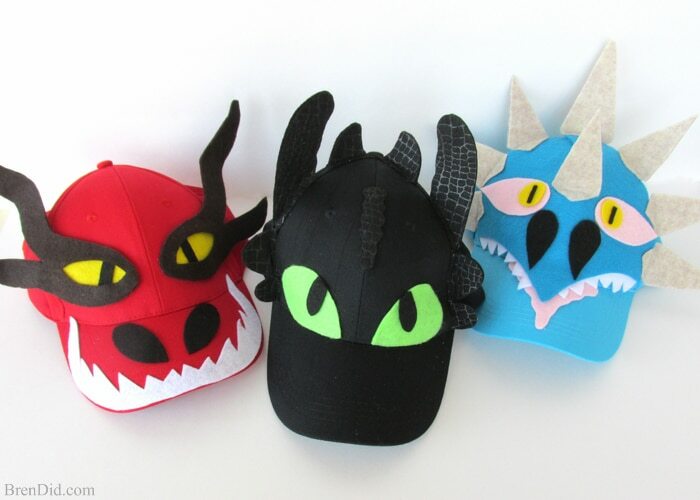 The kiddos and I brainstormed and decided that baseball hats look great when decorated as dragons. 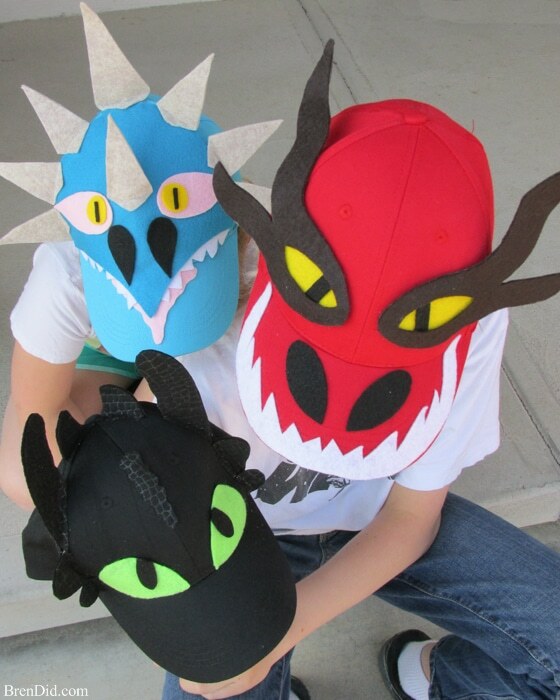 This easy How to Train Your Dragon craft uses felt, premade baseball hats and glue (either permanent fabric glue or hot glue). 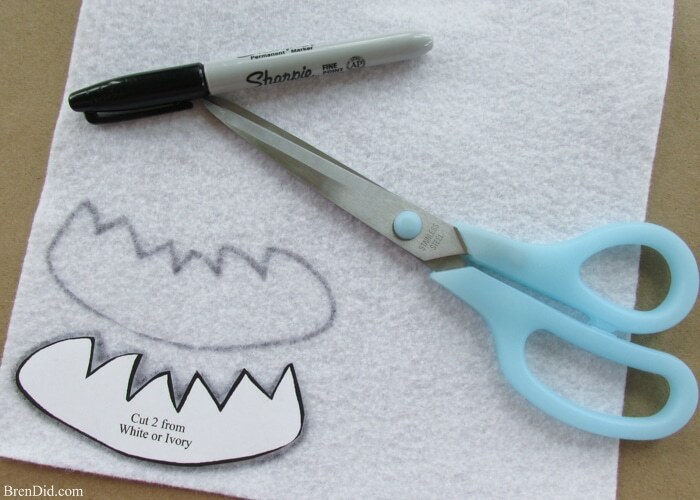 It is a simple craft that only takes a few minutes: simply cut, glue and enjoy! I hope you try making a Night Fury, Deadly Nadder or Monstrous Nightmare of your own! 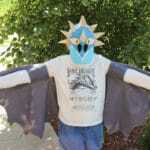 Free PDF printable pattern for a Night Fury, Deadly Nadder or Monstrous Nightmare. 1. Print the free printable pattern of the dragon you want to make (click on a dragon name to access the free pattern library). 2. 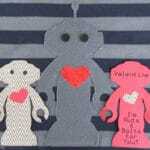 Trace pieces on felt and cut out. 3. Follow directions to assemble hat. 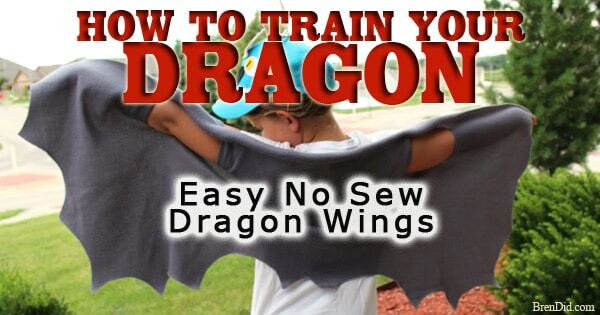 Make a set of no-sew Dragon Wings to complete your dragon costume! To make a Gronckle hat I would use a khaki, tan or olive green cap and take pieces from the other patterns: the teeth (make them white) from the Monstrous Nightmare, the nostril from the Deadly Nadder (make in black, tilt top edges in a bit), the eyes from the Deadly Nadder (make them yellow with black centers and white slits, center the black and white pieces on the yellow), place the eyes on a brown circle to make it look like eyelids, cut brown horns with a slight wing shape and place them where the Night Fury has tall horns. This should looks like the Gronckle. 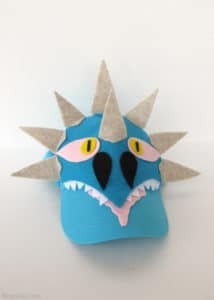 Any suggestions on how to make a Barf and/or Belch hat? They’re the two headed dragon. My son wants it instead. 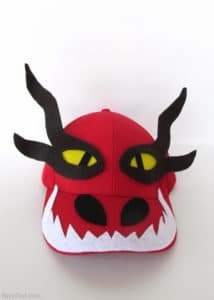 To make a Barf and/or Belch hat I would use a green cap and take pieces from the other patterns: the teeth (make them white) from the Monstrous Nightmare, the center horn (make it cream or red) and nostrils (make them black) from the Deadly Nadder, and the eyes (yellow with black pupils) and tallest horns (make them green) and smaller horns (make them red) from the Night Fury. This should looks like the twins! 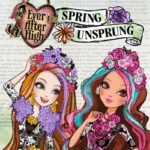 Hi, I subscribed but am still unable to get the free printables! 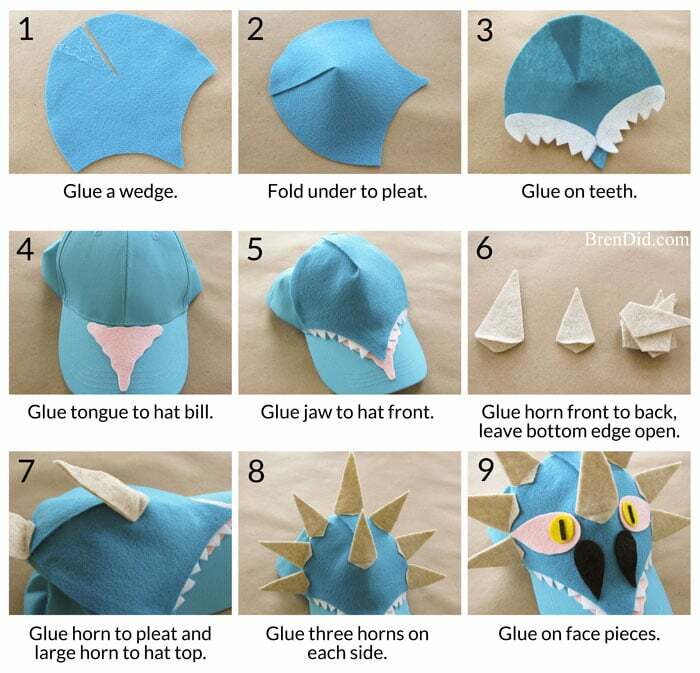 My son is having a how to train your dragon party Tuesday and I really want to make the cap! He loves toothless! Please if you could help me it would be great! Thanks! Sadly am still unable to print. Not sure why. Each time I click on the cap it takes me to the subscribing page, which I’ve already done. ???? Sorry you’re having trouble. The pattern is not on this page. You need to visit the free printables library, you have to enter your email address as the password to enter, then scroll down to the pattern. 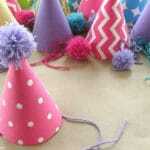 Your Hookfang hat saved me and my very anti-dress up son from Book Week battles – so grateful! Thank you! Sacha, I have one of those too (an anti-dress up son)… I am so glad the hat helped with Book Week! Hi I love these! 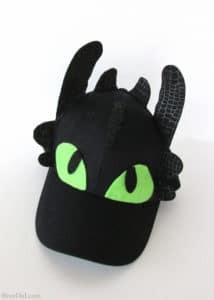 Did you color in scales for the nightfury hat on the felt and if so what did you use to do it so it stays on the felt thanks! Thanks, Mama Mia! I bought the felt with the scale pattern at Michaels. I think it’s less than $0.50 a sheet. 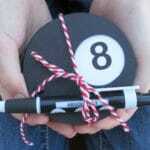 A plain black Sharpie might work too. These turned out super cute! I have yet to see this movie…but as my little guy gets older, I’m sure I will be watching it sometime soon! Thanks so much for sharing at the Creative Inspiration party, hope to see you again on Monday! Thanks Kelly! I hope you little one loves the movies, they really are fun for kids. Thanks for the compliment on the hats! 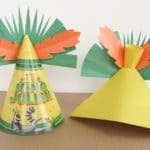 Your printable dragon hat decorations are brilliant. I bet the kids loved them!